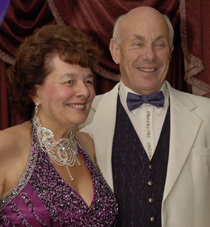 For the last 19 years, Dancing Duo Henry and Jeannie Clark have delighted the dancers of Torbay – and way beyond – with their programmes of weekly dances, special events and Dance Holiday Breaks. What started as a hobby has evolved into a busy career for the enthusiastic couple, whose first priority is to provide the pleasure of quality ballroom, Latin and sequence for their dancers. Only the best hotels all with spacious ballrooms are selected - a policy which has paid off in popularity right from the start. And great deals are offered for these exceptional value holidays. Henry and Jeannie are renowned for offering the best dance music available and great atmospheres created by theme nights and the friendly outgoing nature of the hosts and their regular supporters. Visiting groups are always made to feel very welcome. As a result, worthwhile numbers of dancers join them at up to 6 venues, with 2 a year now at the most popular resort: Dawlish. Nowadays they include people from all over the country, as well as those from their home territory in the south west. Two holiday breaks in June & Nov/Dec are hosted at Torquay's Victoria and Carlton hotels. Torquay's Livermead House Hotel, on the sea front, is the number one venue where dancers gather every Thursday evening at 8pm. One-hour teaching sessions precede the dance with a qualified instructor (6.45 to 7.45pm). The Elm Community Centre is our venue for dances in Plymouth and are held every fortnight on Saturdays. West Hill Village Hall is a new venue from 11th August 2018 and is a very large, modern, well-appointed venue. We hold dances once a month on a Saturday so come and join us - click here for West Hill dance dates. Our Saturday night dancing venue for 2018 — one a month from March. 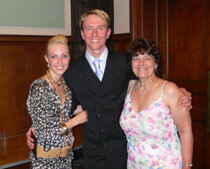 Dancing Duo can also be booked for private functions and special celebrations. 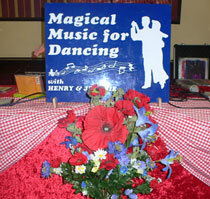 Just phone 01803 325 905 to enquire about dance dates or availability to run private functions.